It is a beautiful place to visit, so if you haven't been there, it is worth the trip. 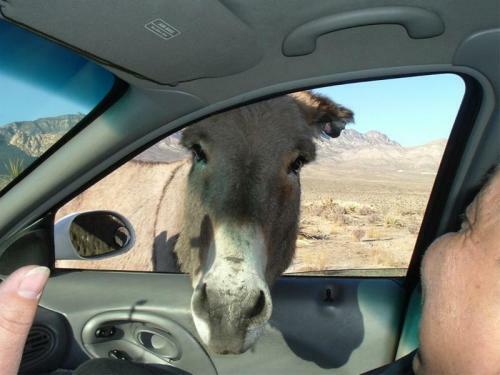 Anyway, my friend was busy taking pictures and enjoying the sights, when all of a sudden, a wild burro stuck its head in the car window! He was quite surprised but was able to get a picture of the donkey before it turned around and went on its way. I don't know if the burro was looking for food or just welcoming the newcomer! HELP!!!! I can't open this file!!!!! Beyond the Neon - Part 4 - Nevada Day @ Loonie Lonnie's?? Beyond the Neon… Part 3 Are You Ready for Some Football?? 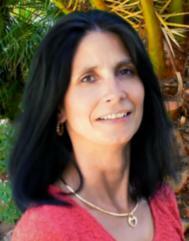 Traveling to Las Vegas… Convention or Vacation?